This month the Hellenic Air Force 349 Mira, flying the F-5A, based at Larissa AB, rotated with the Italian Air Force 10 Gruppo (9 Stormo) based at Grazzanise AB, flying the F-104S/ASA. It is unknown if it was a 1 or 2 way exchange but the F-5s were seen in Italy for sure. It was the last exchange for 349 Mira which was disbanded officially on 5 September 1997. This month the Royal Air Force 12 Squadron, equipped with the Tornado GR.1B and based at Lossiemouth, exchanged with the Italian Air Force 18 Gruppo (37 Stormo) based at Trapani-Birgi AB, flying the F-104S/ASA. 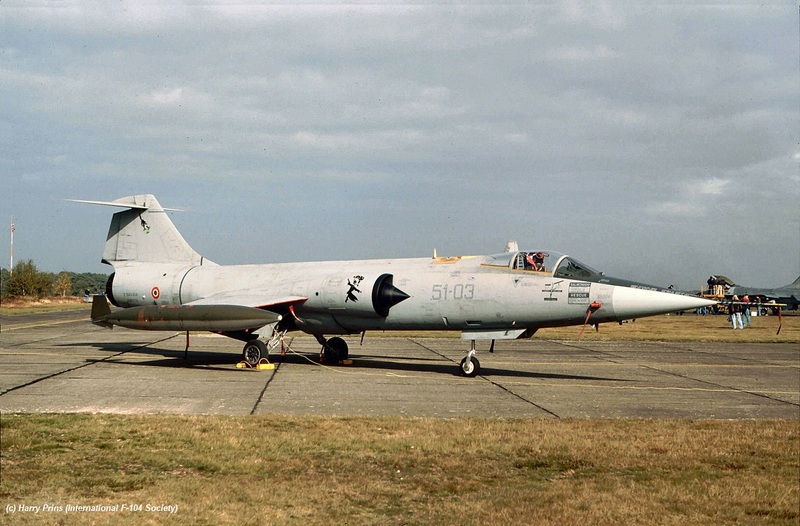 It is unknown if it was a 1 or 2 way exchange but at least Starfighters were seen in Lossiemouth being MM6713/37-01, MM6825/37-10, MM6925/37-05 and MM6943/37-15 using call-signs "I 6713" and "I 6825". They all flew to and from Lossiemouth via Bruggen where they made a fuel-stop. On the way to Lossiemouth the aircraft landed at Bruggen on the 9th with 37-10 and 37-15 departing the next day and 37-01 and 37-05 the day after. Aircraft 37-01 and 37-05 already departed from Lossiemouth on September 18th, while the other two departed 1 day later. .. Beneath a photo showing all four aircraft lined up at Bruggen after their arrival on September 9th. (Photo Norvenich Aviation Society). 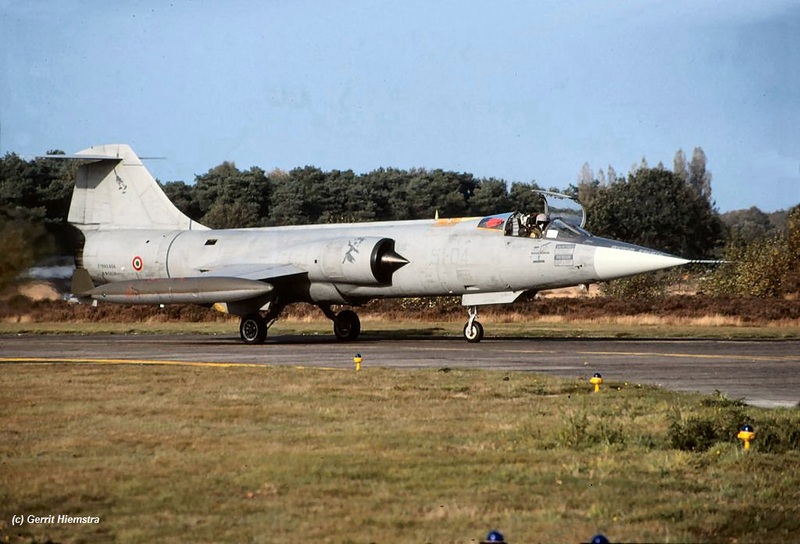 This period the German Air Force JG74 (1st Staffel) based at Neuburg, exchanged with the Italian Air Force 9 Gruppo (4 Stormo) based at Grosseto AB, flying the F-104S/ASA. It was a 2 way exchange. Five Phantoms flew to Italy and also five different Starfighters were seen in Germany being MM6805/4-10, MM6908/4-52, MM6912/4-20, MM6923/4-21 and MM6930/4-12. Aircraft MM6805 arrived on 29 September to replace MM6930 which departed on 30 September. Transport was arranged by Luftwaffe C-160 Transall and Italian Air Force C-130 Hercules aircraft. 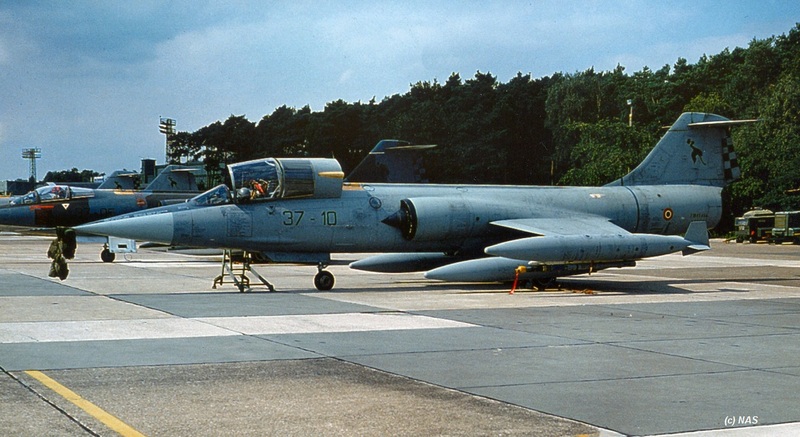 This month the Belgium Air Force 23 Smaldeel (10Wing) based at Kleine Brogel AB flying the F-16A, exchanged with the Italian Air Force 22 Gruppo (51 Stormo) based at Istrana AB, flying the F-104S/ASA. It was a 2 way shifted exchange. First the Belgium F-16s flew to Istrana between 26 August and 4 September and later the Starfighters came to Belgium in October for their shift. 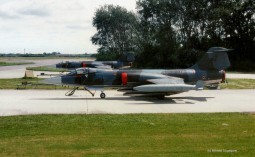 Starfighters seen at Kleine Brogel AB were F-104S/ASA MM6714/51-03, MM6776/51-15 and MM6824/51-04. The photos beneath, taken during the Press day at October 17th, show Capt. Andrea Costa after landing with MM6824 code 51-04 and the parked aircraft MM6714 code 51-03 (by Harry Prins). 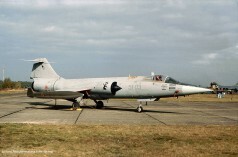 F-104C 56-901 ready and displayed now!